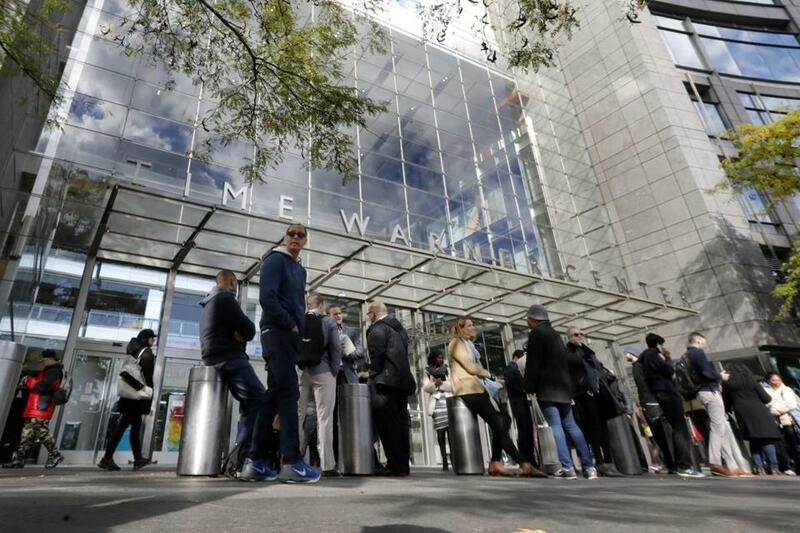 People gather outside the Time Warner Center, in New York. Outside the building, CNN’s Brian Stelter and Don Lemon continued to broadcast. Lemmon said fire alarms rang and a loudspeaker told them they needed to evacuate.